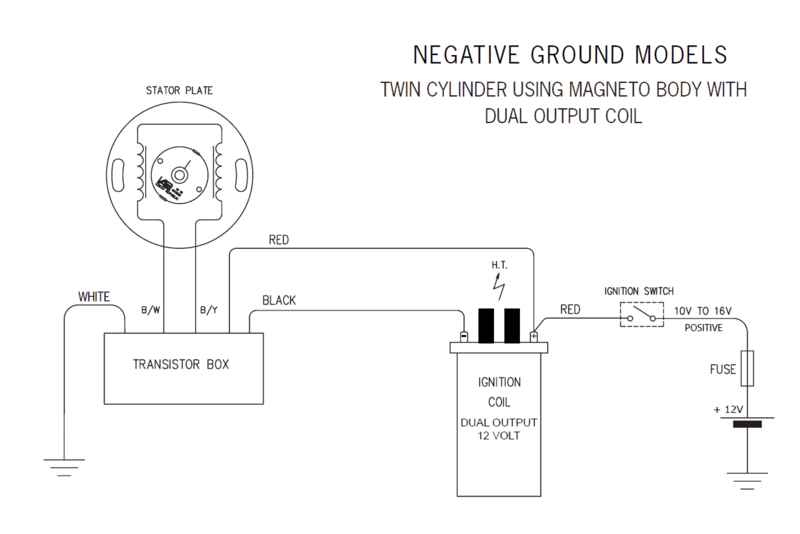 Vape Ignition Installation and Troubleshooting | JRC Engineering, Inc.
magnetic rotor should have south poles facing outwards. 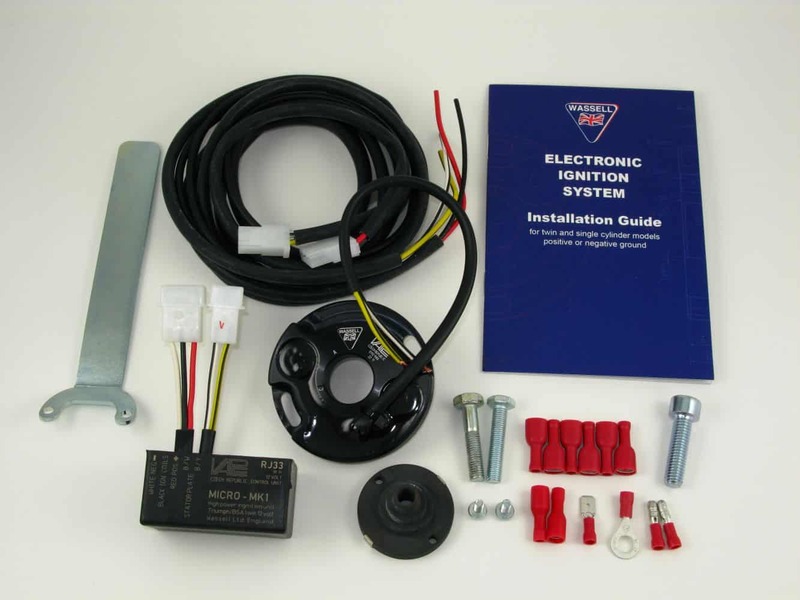 mechanical/spark plug/ignition coil/ht lead and not the transistor pack or stator plate. 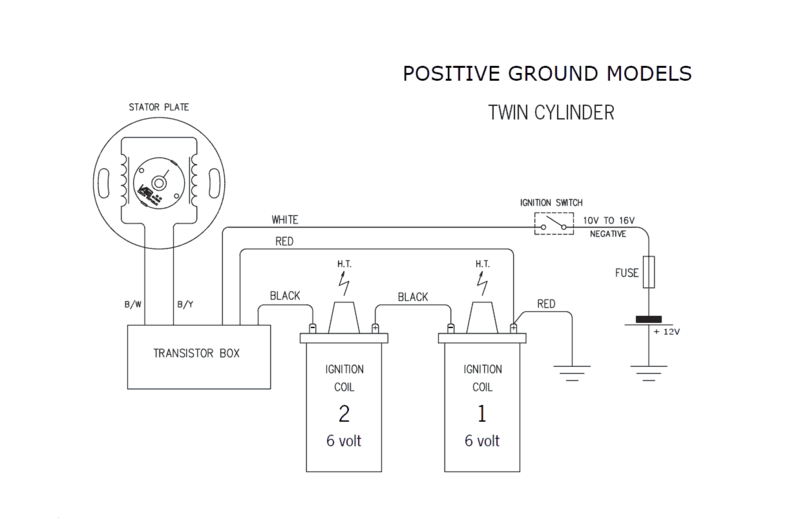 Warning: This unit can produce high voltages. Always disconnect the battery before working on the system! 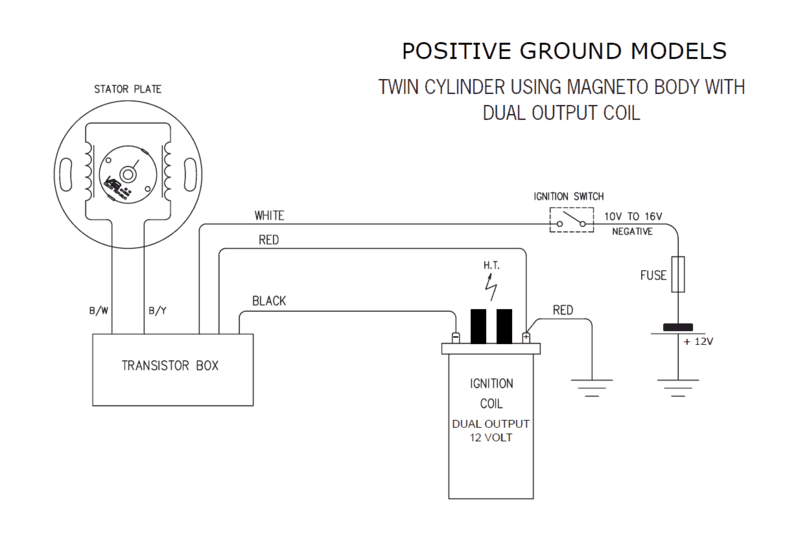 8 Find a position for the transistor box near the ignition coils and mount using cable ties. diagram).Remove the outer protective sleeve and cut the wire to required length. 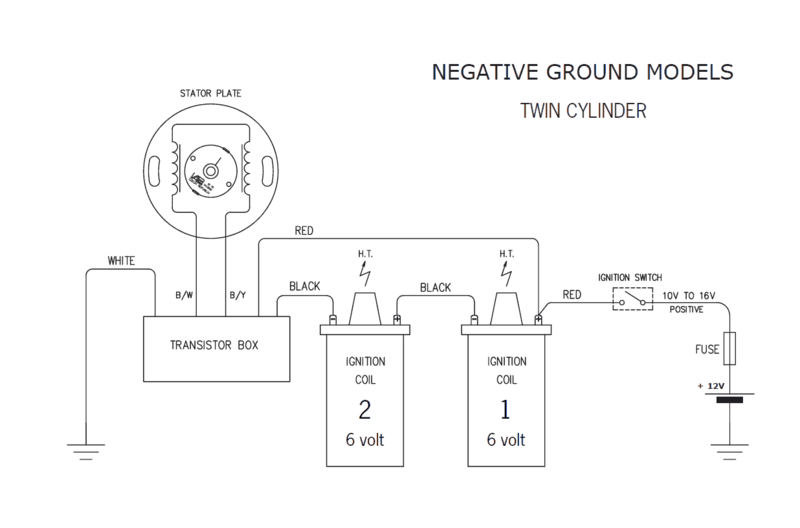 ground models and to a suitable earth on NEGATIVE ground models (see wiring diagrams). 12 Connect the black/yellow from the transistor box to the black/yellow from the stator plate. the magnetic rotor on its taper until the timing mark lines up with the appropriate timing mark. on to the engine case with a marker pen and align the rotor timing mark to it). rotor should have south poles facing outwards. on pre 1968 engines or UNF on later models. Check the bolt does not bottom on the thread.